Photo credit: Picture Des Moines, CC BY 2.0. One of my four Cyber Monday purchases was $160.90 worth of groceries and household goods from Hy-Vee Aisles Online. I’m scheduled to get the keys to my new apartment at 11 a.m. on Friday; the internet is scheduled to arrive at noon and my groceries are scheduled to arrive at 2. Yes, I could have walked to the nearest grocery store or waited until Saturday when my parents could take me shopping, but having the giant pile of food and laundry detergent and hand soap and everything else right away means that I can spend the first night sleeping on freshly-washed sheets (which were clean before I put them in the suitcase, but which I will wash again). It means I can make my own dinner. It also means that I can fill my storage unit—did I mention this studio comes with a storage unit?—with the largest package of toilet paper that Hy-Vee sells. Yes, I took major advantage of the fact that I wouldn’t have to carry my own groceries and bought the largest size of everything. The biggest jug of olive oil. The bulk package of Clorox wipes. Enough food to last for weeks—because if you spend more than $100 at Hy-Vee Aisles Online, delivery is free. 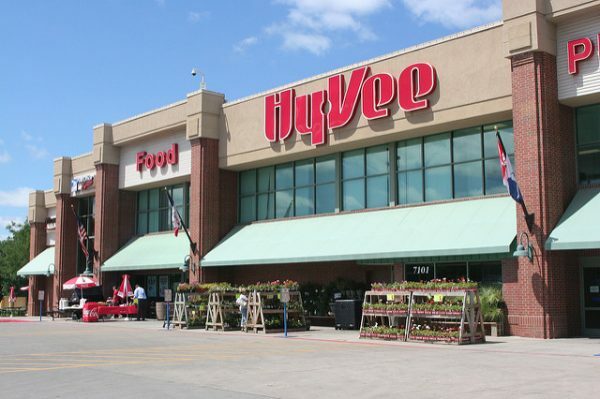 Depending on how Friday goes, I may use Hy-Vee Aisles Online for the majority of my shopping.